Now there's a thought to conjure with... nice graphic for the Mrs Peel's Club themed party night. Wow ! Two very classy women looking great ! 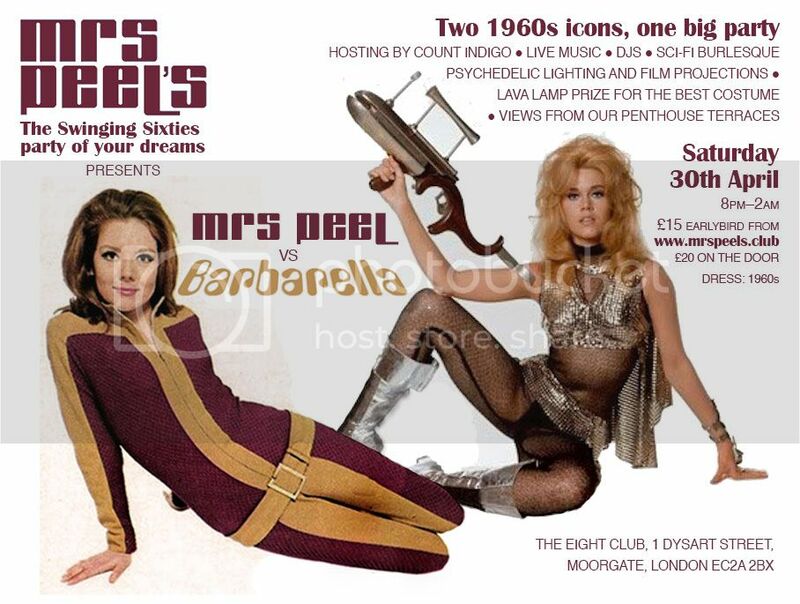 Mrs. Peel V Barbarella in what way ? Barbarella's pose is very Purdey in style and like Joanna Lumley she was an icon of '70's AND80's Fitness !